Or how an all-star boss from Apple committed a horrible mistake in an effort to change one industry, ending as a clown. At the beginning, it all seemed like one of those stories about “a knight on a white horse”, who would come and save everyone with his new and innovative thinking. Ron Johnson at the end of 2011, after a successful career as a director of awesome Apple Stores, had become a new CEO of the American retail network J.C.Penny (JCP). JCP is one of the largest retail stores network in the USA, in which you can buy literally everything with an exception of groceries, tools and equipment for household and garden. Ron had enjoyed trust of the owners along with the space that allowed him to make big changes because revenues and profit of JCP has been stagnating for past few years. However, after one and a half year, Ron was replaced with the former CEO Mike Ullman that he had replaced before. What had happened in such short amount of time? 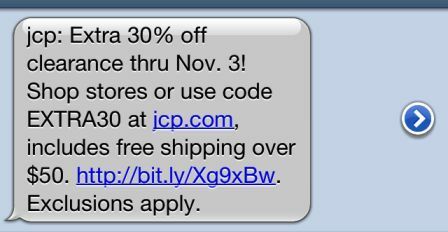 Before Ron had joined the JCP, the retail chain was famous for its sophisticated system of discounts and sales. My favorite example is a coupon, which allows customer to shop with discount up to 50% on chosen goods, but only within 48 hours after the coupon was received and only on workdays between 5:00 and 7:00am! Thanks to all the other coupons, sale packages, season and other special discounts, the total revenue share of goods without discount was just 1% in 2011. Ron Johnson has decided, coming from totally different entrepreneurial culture (you can’t expect discount from Apple!) to cancel this way of doing things. Yes, completely cancel it. No more 600 discounts annually, no more coupons from local magazines, no more T-shirts for $25, even though the price was $50 just yesterday, not even traditional 99 cents price endings. There were only honest and rounded prices in three levels for everyone without any difference. Furthermore, he invested into national, more than a year lasting campaign. 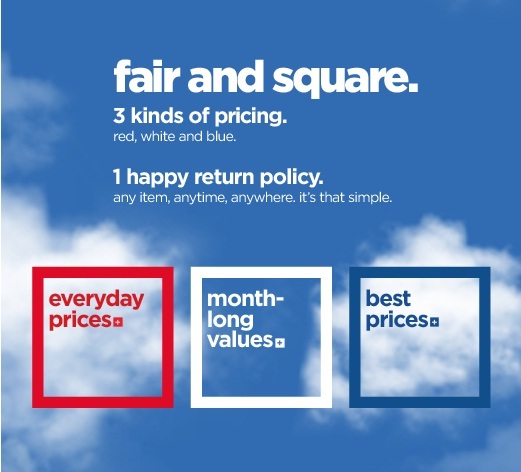 That not only explained the new approach to prices (“fair and square”), but also proactively differentiated from unfair competition. Result? One could expect that customers would say: “Finally someone, who is not trying to fool us, I will be shopping there.” Wrong! ...even reactions at the opening of the new campaign were negative. New offer had been criticized - it was just not convenient enough for customers. The first quarter after this radical and general change, the revenues dropped by significant 20% in stores and by huge 30% online. After 6 months, the top management of JCP must have brought some of the biggest season sales and discounts back, but in 2012, despite the effort, the profit had shrunk by more than 1 billion dollars. Ron Johnson, after a while, left the position of the CEO in shame, but even today after the replacement of Ron, the company still hasn’t financially recovered from his – now already considered - crazy step. Explanation: Why did this happen? The basic mistake that the JCP’s top management made wasn’t that they did not even try to get to know their clients. They directly decided to school them and change them by their own desires. They did not understand that after decades of “discount conditioning”, the seasonal sales and discounts are a drug for typical customers of JCP or minimally a wanted source of fun and excitement. The second important mistake top management has made, was cancelling a significant mass of discount flyers, coupons, emails, and text messages, reducing the channel of proactive direct marketing. They did not replace this activity with anything else and lots of customers missed the important impulse for purchase. The most interesting mistake, in fact, was that by this radical change in pricing, they overnight destroyed a long-years-built price image and system of customer price differentiation. Less price sensitive customers were suddenly offered to pay the same prices as the sensitive on price. The latter on the other hand – due to their good orientation in the market - could not find any good purchases in JCP anymore and massively went to seek better deals at JCP’s competition. Outcome: Does the strategy of fair prices make sense? The verdict: Unless you are a monopoly, the strategy of fair price offer and effort to unilaterally reeducate customer will always end up badly. If an entrepreneur wants to be successful, she must not only always try to get to know her customers but also proactively create an image of price affordability along with smart price differentiation.